The old school pranksters delight, fake vomit, is still going strong according to novelty puke experts, Stan and Mardi Timm. 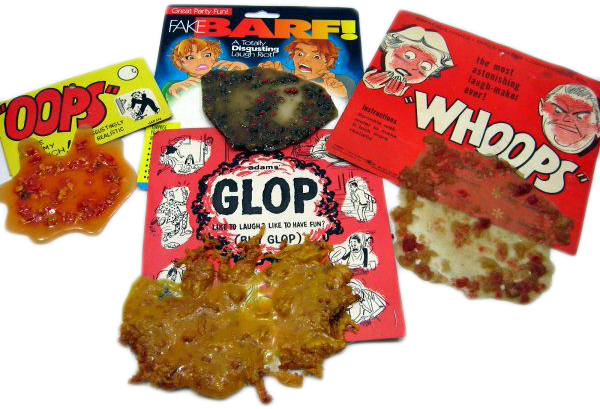 Vintage and antiques website, Collectors Weekly, published The Inside Scoop on the Fake Barf Industry and got the real deal on fake barf from the Timm brothers. It covers everything from the seedy history behind rubber vomit to presenting some wonderful behind-the-scene shots of the Fun, Inc. warehouse where premier gag vomit, Whoops, is made. 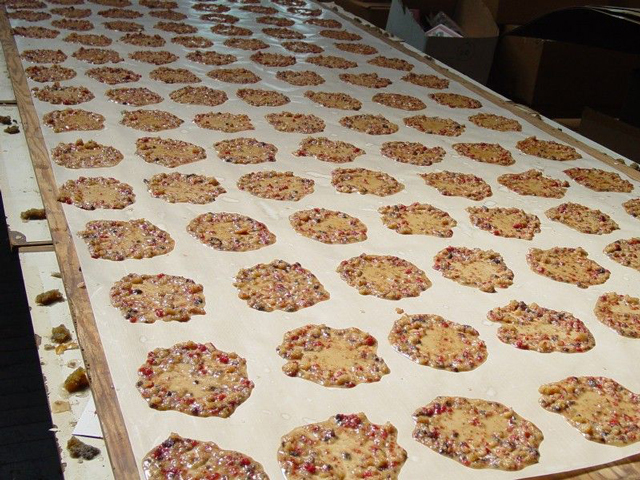 These “cookies” were 500 pieces of fake barf, spread out as far as the Timms’ eyes could see, “curing” under the skylights in the Chicago summer sun. 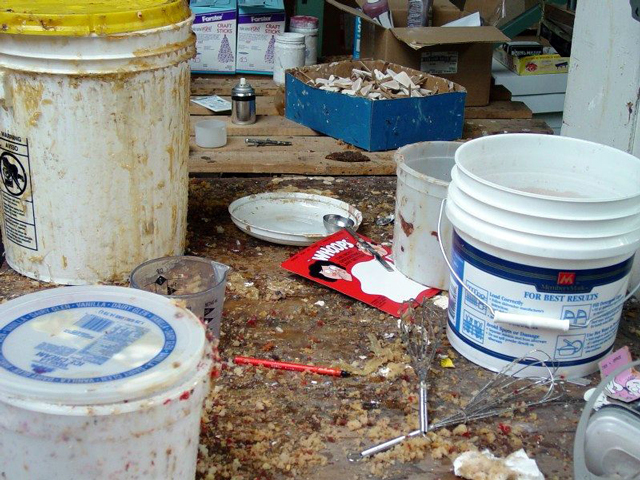 The secret formula is mixed up in a big bucket, and the workers ladle it out, “like you make pancakes,” Stan says. “Each one comes out a little different, of course, but that’s okay.”…“Why mess with a good thing?” Mardi says. “It’s probably one of the greatest gags of all time because it just spanned all these decades and it’s still going. It works well. It’s easy to make, cheap to make, and nobody knows the formula because none of the others look like it.